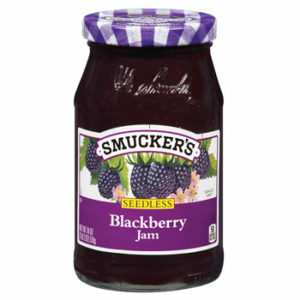 The complex, tangy flavor of Smucker’s® Seedless Blackberry Jam captures the warm, earthy days of late summer. Picked plump and juicy, our blackberries cook into a rich jam with an ideal spoonable texture. Spread on a scone, add to oatmeal, or use as a sauté base for chicken.